Having read some of Roseanna M. White’s previous novels, I knew I was in for a treat with A Name Unknown. The cover is absolutely beautiful, and the premise was so fascinating. I loved the setting in Cornwall and London directly before the beginning of WWI. White’s descriptions and attention to detail are superb, showing obvious extensive research. 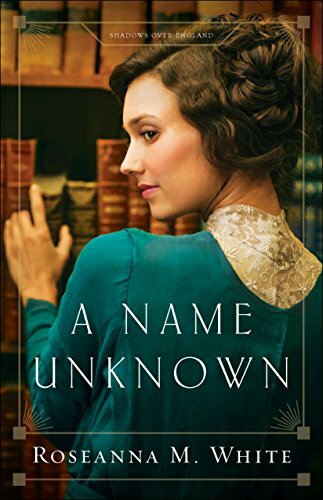 The main characters, a stuttering novelist named Peter Holstein, and a talented thief named Rosemary Gresham, seem unlikely associates, but they are so vividly drawn and endearing that I was totally captivated by them and their story. The messages of redemption, forgiveness, and faith woven throughout the book added further dimension to it. 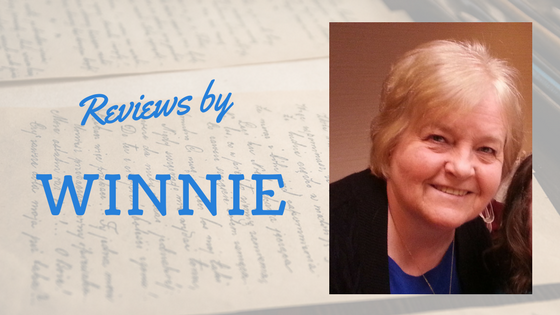 Roseanna M. White’s talent for crafting a unique, memorable story makes her a favorite author of mine. 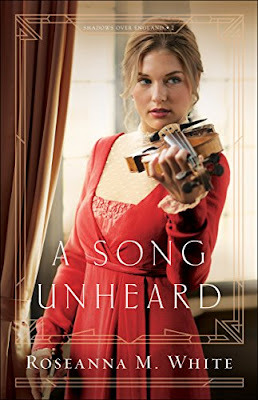 I would recommend this book to those who enjoy clean, historical romantic fiction. *I voluntarily reviewed a complimentary copy of this book from the author/publisher with no obligation to review or post a positive review. All opinions are my own. I absolutely adored the first book in this series, A Name Unknown, so I was anxiously awaiting the release of A Song Unheard. I definitely was not disappointed. The gorgeous cover and the description of the book completely captivated me. Roseanna M. White has an amazing talent for infusing her books with authentic historical details while spinning a delightfully fascinating fictional tale. Her expertise in creating memorable, engaging characters and placing them in unique settings and situations has put her books on my “must-read” list. Willa and Lukas, the main characters in this book, intrigued me from the start, and the complex plot made it difficult for me to put the book down until the final page. The secondary characters were also expertly drawn. With intrigue, suspense, romance, music, and a healthy dose of humor, this story makes for a deeply absorbing read. I enjoyed the threads of redemption, faith, and grace seamlessly woven throughout the book. I would recommend this book to those who like historical fiction. Roseanna is a very favorite author of mine. These books were soooooo good. Can’t wait for Barklay’s story! And after that a new series that ties in some of the characters! What fun! I think these books inhabit one of the most unique story threads that I have ever read. An unlikely "family", for sure!